On Friday, USDJPY is slightly falling; the pair is still trading sideways and waiting for new catalysts. 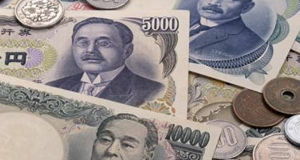 The Japanese Yen is trying to rise against the USD on Friday, although the short-term movement remains sideways. The current quote for the instrument is 110.56. In the morning, Japan published several reports, which prevented the pair from choosing one particular direction for movement. The Household Spending lost 3.9% y/y in May after decreasing by 1.3% y/y in the previous month and against the expected reading of -1.5% y/y. the indicator has been a problem for the Bank of Japan for a long time. Despite the labor market and the inflation in Japan reached stability more or less (as a rule, they tend to plummet quite often), the Household Spending really seemed to recover. However, as one can see right now, this temporary recovery didn’t turn into a tendency. Another report, the Average Cash Earnings, improved by 2.1% y/y, which is better than expected. The Leading Economic Index rose up to 106.9 points in May after being 106.2 the month before. Over the last six months, this indicator hasn’t offered investors any important information, because it has no significant influence on the county’s economy.